You won't want to wait for cold weather to cuddle up in Good Deed's extra thick double-sided Polar Fleece Vest with mock turtle neck collar, and smart black piping at neck and sleeve holes. The two zippered front slash pockets and front full zipper have pulls for easy opening and closing. The four color embroidered AmeriCorps logo looks great against the gray polar fleece background. And yes, this great looking vest is Made-In-USA! 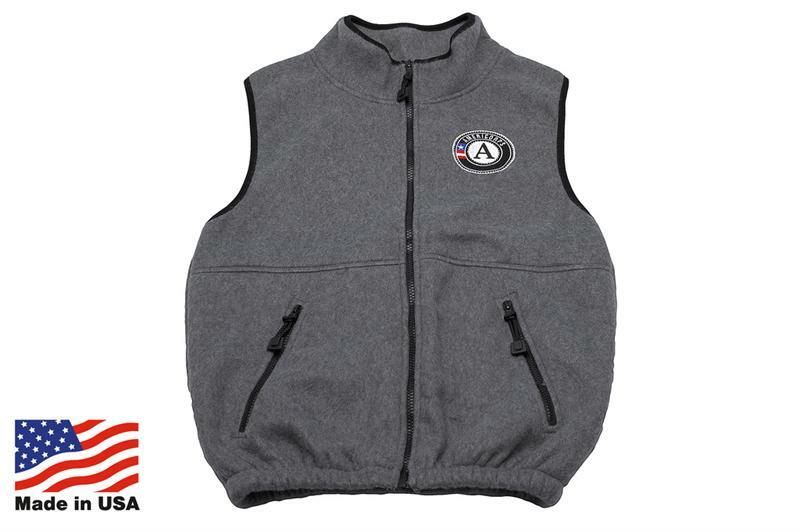 *Please note: Vests have varying shades of gray, and therefore the color of all vests in your order may not be uniform.